This session explores practical ways to apply the five primary skills of trustworthy leaders. This session teaches an approach to leadership that is simple, effective, and deeply rewarding and highlights the five primary skills of trustworthy leaders: · Risk: Learn four concrete ways to be a more courageous leader. · Listen: Discover the secret weapon of influence that gets your advice heard and taken. · Improvise: Find out how to immediately boost your executive presence. · Partner: Learn three ways to have even your most difficult stakeholders want to collaborate with you. · Know yourself: Discover why self-awareness is power and how to harness it. 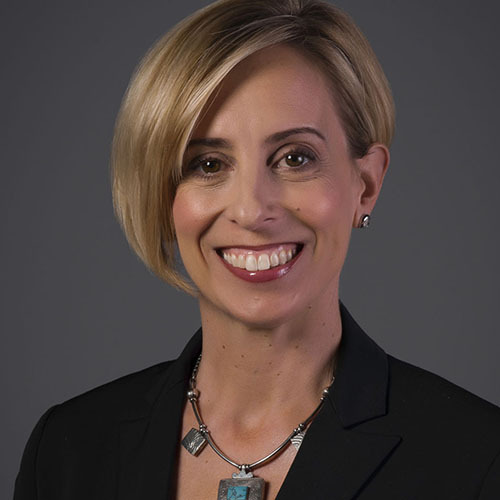 Andrea P. Howe is the co-author, with Charles H. Green, of The Trusted Advisor Fieldbook: A Comprehensive Toolkit for Leading with Trust. She is the founder of The Get Real Project and an entrepreneur on a mission: to kick conventional business wisdom to the curb and transform how people work together as a result. Andrea is a recovering IT consultant who has spent more than 20 years working with clients, managing projects, and facilitating groups of all kinds and sizes. Her focus for the last decade has been teaching people in consulting roles how to get better results by getting relationships right. She speaks on topics like customer intimacy, client loyalty, the dynamics of influence, speaking hard truths, and developing business with trust. When she’s not working, you can find her in the art studio taking far too long to finish her latest mosaic project. Gary Jones, CSP and SPHR, is the Former Chief Human Resources Officer at Grizzard Communications Group (an Omnicom Company) with offices in Atlanta and Los Angeles. He has over 25 years of corporate level human resources experience in a diverse set of industries including marketing services, specialty retail, wholesale, and not-for-profit. He holds graduate degrees in Administration as well as Counseling and served as adjunct professor in Mercer University’s MBA program for nearly 10 years, teaching courses in human resources, organizational behavior and management. In 2010, Gary received the SHAPE Award for Professional Excellence in Human Resources from the Atlanta Chapter of the Society for Human Resource Management. His primary hobbies and interests revolve around guitars, classic rock, unsuccessful attempts to lower his golf handicap, and travel.